Home / feature / gadget / Google / insight / tech / Google doesn’t update every Pixel at the same time check out Why? Google doesn’t update every Pixel at the same time check out Why? The most important Google makes about Pixel phones is complete access to the latest Android software updates. Still practical experience shows that’s not always the case and both Google and US carriers are to blame. See last week’s Pixel 2 patch. After users complained about dull colors caused by controversial color calibration, Google announced it was rolling out an OTA (over-the-air) update that would allow users to set their colors to a hyper-saturated mode more typical of AMOLED displays. The update isn’t perfect, it was an encouragingly swift response by Google. Not long after the announcement, some Pixel 2 users around the world began to receive the update. 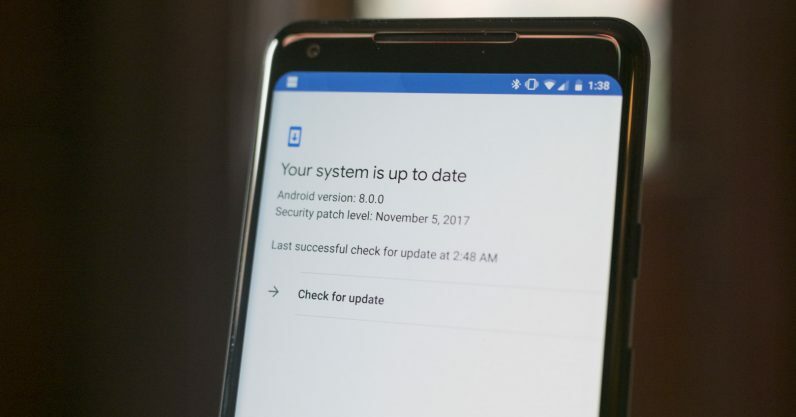 Some days after it first began to roll out, many Pixel 2 XL owners have yet to receive the update. This primarily seems to affect T-Mobile and Project Fi (a Google-owned carrier powered by T-Mobile and Sprint) customers. This excellent Reddit post (and confirmed to us by Google), US carriers have to approve updates for devices running on their network – even though the phone is only sold in Verizon Stores. Basically, carriers want to make sure the updates don’t break compatibility with their own features like Wi-Fi calling, so the Pixels check which carrier you’re on. (This only appears to apply to feature updates, not security patches). Once you insert a SIM, the Pixels will associate your phone to a specific carrier, and only deliver updates that have been approved by said carrier. Occasionally, they’ll even download specific builds for those carriers, even though functionality is essentially identical. For the Case in point: if you’re carrier is blocking an update download on your Pixel, all you have to do is remove the SIM and perform a factory reset. The Pixel will then be able download the latest update, and after that’s done you can put your SIM back in. Google won’t revert you to an older build, even if the new build hasn’t been approved by the carrier.